Entrepreneur-turned-publisher, columnist, television commentator, private investor and board director, Rich Karlgaard has a unique vantage point on the trends driving the business, innovation, and investment climates. His insights help audiences see the global marketplace with new eyes. More than just a business journalist, Karlgaard as a private investor and board director understands firsthand the difficulties of navigating in today’s business climate and the opportunities available to those who have the courage to reach out for them. His assessment of the current business issues, trends and innovation culture gives audiences solid insights they can use to make better business and investment decisions. Karlgaard has a remarkable ability to connect with his audience. He shows his quick mind and even quicker good sense of humor during lively, unscripted question and answer periods. Karlgaard is unfailingly gracious, putting his insights out for others to consider in a way that helps them see the events that are changing their world—including the impact of Washington politics on the environment for business and innovation. His book on innovation culture, The Soft Edge: Where Great Companies Find Lasting Success (April 2014), made the “best business books of 2014” lists of Inc., Time.com, Huffington Post and Forbes India. 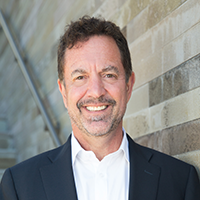 He is also the co-author of Team Genius: The New Science of High-Performing Organizations (July 2015), which received advance praise from the CEOs of Microsoft, FedEx, Northwestern Mutual and XPrize, the COO of the Walt Disney Company, and the CMO of GE.